2014 sees the return of Manchester to Jeddah Flights with Saudi Airlines. There has been no direct link in between the two cities since 2007 when Saudia stopped all flights in to Manchester Airport. Saudia Airlines is the flag carrier of Saudia Arabia and it will be flying 3 flights per week in between teh cities. It is throught that flights will leave Manchester Airport every Sunday, Tuesday and Thursday. 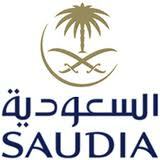 The flights will begin in March and Saudia Airlines will be based in terminal 2. It is hoped that the route will establish a busy link in between the UK and the Middle East attracting both leisure and business customers. Saudi Airlines is the third largest carrier in the Middle East behind Emirates and Qatar Airways both of which have established Manchester routes allready. This link up is another step on the path to making Manchester Airport one of the best airports in Europe bringing in much needed investment in to the North West area. It is thought that jobs will be created as a result of the development.